Tired of all the dirt grime and dust on your vents and dash? 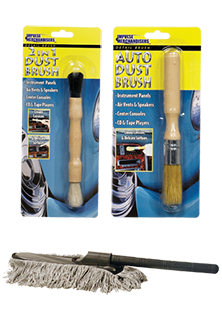 Check out our Vent and dash brushes! We have several to choose from and most of them are 2 in 1s. These are sure to help keep the dust, dirt, and grime away with these easy to use tools. These are must haves to keep a car clean! We have the lowest prices in the nation. GUARANTEED!